mwe3: Tell us about your growing up around Nashville. You started studying piano and then drums at a very young age. What artists of the era inspired you? Being in Nashville, was country music in your life and also how would you compare Nashville with where you live now in Austin, Texas? Kevin Wood: Growing up in a suburb of Nashville, Tennessee, surrounded by musicians shaped my perception of music as work. Music was at the heart of peoples livelihood in so many households. It was a way of life. My friends parents were musicians that played at the Grand Old Opry and a founding member of The Black Crowes was a childhood friend. Among my earliest influences were The Police and Styx. However, I didnt follow in their musical footsteps! Two of my older brothers and I took piano lessons, but I really enjoyed the composing aspect of it - getting lost in song. As a child who was somewhat of a loner, I found connection and solace in creating simple tunes on the piano that would move me. It has been a long time since I have been to Nashville! But its interesting that both cities, Nashville and Austin, have a rich culture of music. I intend to revisit Nashville and my old neighborhood this summer. mwe3: You were interested in New Age music since you were in college. Was New Age music always a main interest in music and what New Age musicians inspired you most? How do you determine if music has New Age qualities? Kevin Wood: Some of my earliest influences in the New Age genre were Tangerine Dream, George Winston, Vangelis, Chris Spheris and later Enya and Deep Forest. In college, I hosted a New Age radio show and recall spinning Mark Isham, Tanita Tikaram, Andreas Vollenwieder, David Lanz and other Pure Moods artists as well. I enjoyed the uplifting, mood-filled and relaxing tunes in the New Age genre and began experimenting with my own work on keyboard synthesizers at age 11 and our familys piano. My first synth was a Roland Juno 106. Interestingly, I knew early on that I would one day write music and release it to the world. The way I hear New Age music is that it typically has a conventional chord structure and has the effect of altering our mood and/or uplifting our spirit. It can make us feel really good, or can feel other-worldly and mystical. mwe3: Eternal is your 2018 CD and your first release on Real Music. How did you meet up with Real Music? Eternal sounds different from synth based instrumental music in that its almost World Music flavored but after hearing it a number of times, its clearly a good fit for Real Music. What kind of discussions did you have with Terence Yallop about the directions of Eternal and what did Clay Boykin bring to the recording? I see in addition to working on the artwork and associate-production, Clay also played guitar on Light Shines Through. Kevin Wood: Its been such a blessing working with the team at Real Music. We came in contact through Liz Doan, a dear friend and former senior buyer for Music Design, the leading New Age Music distributor at the time. Terence and I had several wonderful conversations where it was clear that we could have a synergistic relationship in this release. mwe3: How did you choose and assemble the players on Eternal? With cello being such an important part of the sound, how did you choose the two cellists on Eternal? Kevin Wood: Choosing the guest musicians on Eternal started out easy. I knew Jami Sieber from various projects, including her involvement with a charity compilation album we did called Music That Matters  Lovelight, which included 36 tracks from 36 great artists. From there the album just evolved and the performers list grew naturally. The inclusion of Francois le Roux was providence. He was doing a concert in Austin and I heard through the grapevine that he was staying with friends, of which I knew. I then heard his lodging plans fell through, so I offered my home and he accepted. For the track Time for Change, I wanted some epic-sounding drums. My good friend, Kelly Andrew composes epic and New Age style music, so he was the perfect fit to add the drums track, and he did incredible work. Kelly had to free hand it, and the timing was right on, and the drum selections used were just perfect and exactly what I had in mind. mwe3: You have said youre influenced by inspiration from meditation. How long have you meditated and what technique do use. TM or Zen meditation for example are still quite popular and what other meditation techniques do you like? Kevin Wood: Well, Im not up on the various types of meditation, so Ill have to stick with telling you how meditation works for me. Meditation for me started several years back. Like most beginners, the intention was to focus on the breath and then roll back the mind, so that you clear the mind of mind chatter and the tapes it runs. Thats where it ends for some, and thats a great start. That alone has benefits, to be sure. But then I was able to go to the third eye. I could ascend and focus in the darkness of closed eyes from one single point. And yet, whats interesting to me is that I can either see darkness or bright light, depending upon what and how I choose to see. The great benefit here is that I was able to sit with myself for an extended amount of time and learn that I enjoyed just being myself in the silence, that I wasnt at my most truest essence the identities and the attachments that we take on in life. I was consciousness and light in the stillness, and realizing that is profound. And where it became truly transformative for me was when I invited the Spirit of God, the Christ nature into my heart space. I would first cleanse by asking for forgiveness and offering forgiveness to any and all. Then, upon inviting Spirit I felt the beautiful presence of the Eternal. It was pure and Eternal love and grace and peace. I get emotional whenever I talk about it. Struggling with faith, like I had been, and then being graced with this beautiful experience is life changing. Later, I began to ask indwelling Spirit for guidance, and I would hear the small still voice inside, which gave me messages that often did not make sense at the time. I would write them down, and they truly feel like divine messages. I even asked for my beloved mother to visit me, and I had an all-encompassing presence of love envelop me that is nothing like Ive ever felt or sensed before. mwe3: How did you become interested in chanting? You feature different types of chanting on the Eternal album but the key thing is you combine these different types of chanting in the same song. 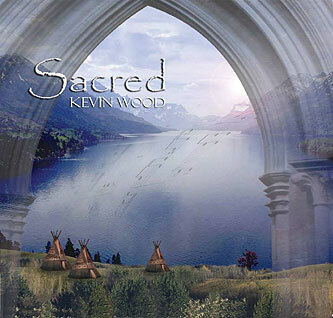 Kevin Wood: Ive always been drawn to the sound of chant. This led me to the Sacred album project that involved an interplay between Gregorian chant and Native American singing woven with my musical compositions. It felt like two beautiful forms of prayer that somehow flowed together, and musically it worked. The feedback I get from listeners for that album is profound and deep. Austin is home to the largest Native American Pow wow in the U.S., and I was blessed to have a number of singers at the yearly event record with me using a high-end portable recording device. Ive also felt that my 1/16 Iroquois blood may be small part of a heartfelt or spiritual connection to these events. was it done digitally? What is the significance of Pachelbels track in your estimation? eternity. So, it felt right for the song to represent the sense of Eternal Grace that I felt in meditation. It is a beautiful, graceful, eternal song, and one I had always wanted to create a rendition of, along with the incorporation of world vocals, so that it would also be a oneness, or one-world song, as it were. mwe3: I didnt know you had produced / co-produced 55 digital only albums. What can you tell the readers about those albums? Thats a pretty impressive number. Were there collaborations in those albums too? 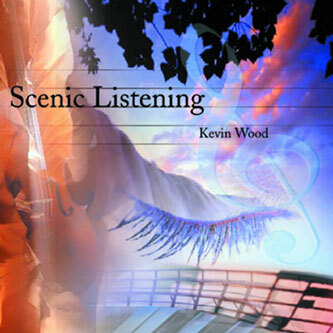 Kevin Wood: I partnered with several artists and performers and nature sounds recordists, primarily Mike Wall, for those projects. Mike is an incredible talent and dear friend. He was a top nature sounds recordist, a recording artist, a producer and could do the mastering, so along with my contributions of music, creative ideas, direction and promotion, we created something special  a whole catalog of digital albums. The synergy was undeniable. It was literally 1 plus 1 equals 10,000. Our talents matched up perfectly, and we were able to release albums that have even reached Billboard charts and best sellers on some of the retail stores. We worked on this for 5 or so years really diligently, and it has done very well for us. mwe3: So how would you compare Eternal with your earlier solo albums Kindred and Sacred? Is there a continuity and contrast between your early albums and Eternal? 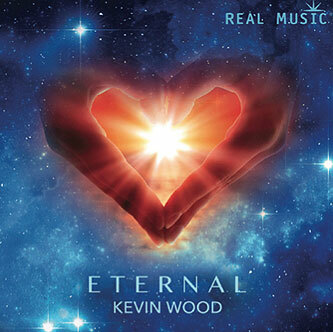 Kevin Wood: The most important evolution in recording Eternal was the inclusion of more recording artists. Secondly, I recorded everything differently this time. I took all of the tracks out of the digital realm and multi-tracked them in the analog world using high end compressors, converters and tube gear, which helped give the sound more glue and more warmth and ultimately more magic. Lastly, I used less synthesizer sounds on Eternal, so it feels a bit more organic, but it is still a hybrid between studio recordings and sample-based sounds. Having both, to me, broadens the possibilities of what can be created. Like a painter, the more colors and hues and brushes one uses, the more expressive and creative the end product will be. Eternal is a very special album for me, as it represents a spiritual awakening that both inspired the album and made the music possible after struggling with a crisis in faith and a lack of motivation to write new music. After 5 plus years, through hard work, late nights, a lot of laughter and even tears and life challenges at times, it has arrived, and I am so grateful. Eternal is my most meaningful and inspired work ever  truly from the heart and soul. mwe3: What can you tell us about the cover art design of Eternal? Who designed it? Its very ethereal and comforting as well. What does the word eternal mean in this or other context? Kevin Wood: Claudia Wennberg designed the cover. She has designed all four of my covers. Shes incredible. Shes a professional at design and can always hit it out of the park. She first wants to know everything about the project, its intention, its purpose, its message, and hear some tracks, etc., and then she goes to the drawing board and works with various images that call to her and finds a way to blend them so that they offer, visually, the essence and underlying message of the album and the music. The cover for Eternal is sublime. It is from the heart space that I became open to meditation, where I have experienced the light and presence of God and Spirit. So, the cover - the light shining through the heart, through space and time is both a work of art and a perfect visual expression of the message and inspiration behind the music. mwe3: How long have you been involved with promoting New Age and instrumental music? Sounds like you have an extensive background in the music world to draw on. What is the major challenge in getting exposure for your music? 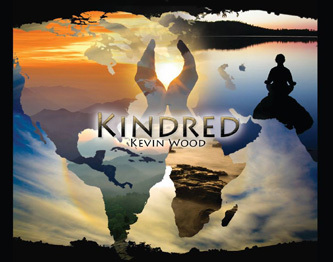 Kevin Wood: When I started out, I had more time and less money. Before I released my first album, I traveled to California and made some phone calls and met some people to start learning the industry. After I released my first album, I then did more research and hired a radio promoter. This promoter left the business, so I decided to take everything I learned and do much of the promotion for my second album, released in 2005. That year I also started to offer radio and retail promotion for other artists, and clients came in slowly for 6 months, but then with word of mouth, we picked up clients with ease. This allowed me to be in music just about full time, which was a great feeling and a dream come true. Learning all that I did as an independent artist and as a promoter helped pave the way for me to sign a one-album licensing deal with Real Music. I had a sizable fan base and the experience in promotion to bring to the table, in addition the new music and artwork, which they really loved. The synergy has been great.. Eternal is a featured album on iTunes, reached #1 on Amazon Digital New Age on its release date, and this week reached #4 on the Billboard New Age chart. What a blessing! mwe3: What do you like best about the internet and what do you like least about it? all music can get its chance. The negative part of the internet is the prevalance of free file sharing in situations where artists would have made the sale, but for their music being on a torrent site, they lost sales when a few of their fans went there instead. Also, many artists feel that streaming services should pay more, but in the age of the internet, the new streaming business model cannibalizes the music to some degree to gain the customers. Music is literally free with ads. All you want, a la carte, on demand, for free. The artists under this model get paid around a half a cent per listen, which is a far cry from a fan spending 15 dollars on your album. It takes around 3000 song streams to make 15 dollars. Thats the equivalent of 15,000 listening minutes, which equals 250 listening hours. 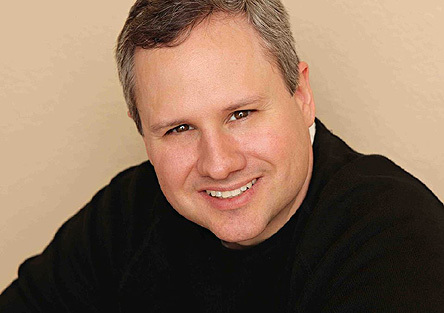 So, in todays paradigm, an artist has to get a fan to stream their new album for 250 hours to equal what they would earn if they sold a $15 CD at a show. Thats a tough gig. mwe3: With everything else going on, and considering your wide range of skills in music, what other activities are you planning for 2018? 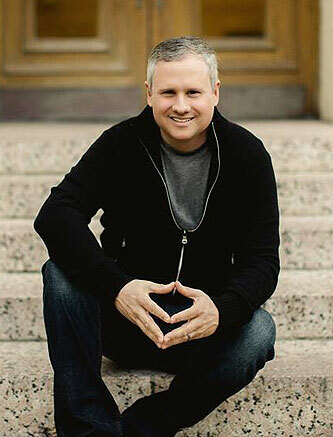 Kevin Wood: I just applied to become a voting member of NARAS and well see where that leads. I also want to talk about my story of awakening and renewed inspiration that spawned from it, and I feel some talk radio shows where they have conversations about spirituality will be a good place to explore. Beyond that, I am considering building a completely new digital studio setup that will actually give me more tools to draw upon and allow me to have a top professional mixing engineer take my sound to an even higher level.